1) Same day loans – As the name suggests, these loans are granted to the borrowers on the very same day. They require no credit check and minimal documentation. 2) Credit cards – Some credit card companies also offer the facility of getting quick loans at lower rates of interest. 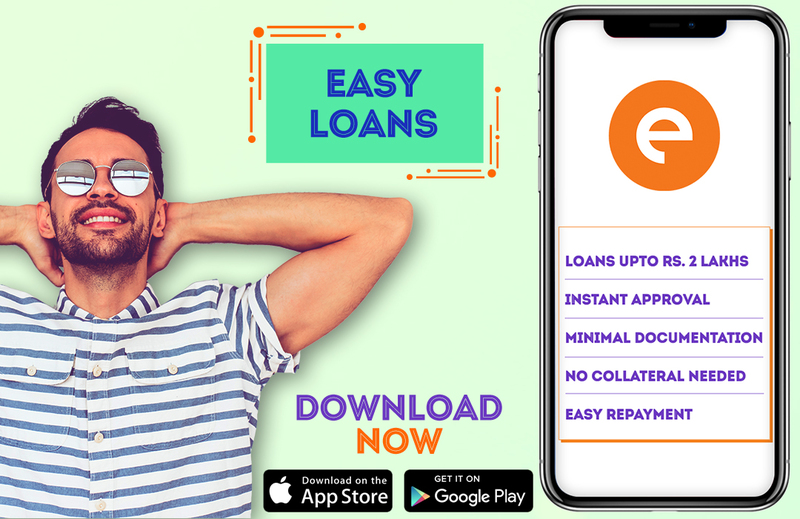 3) Personal loan apps – Mobile phone applications like CASHe are emerging in India which provides easy and unsecured short term loans through a simple process. How to Apply For Easy Loans Online? One of the easiest ways of getting a short term loan is online apps which require minimal efforts from an individual’s end. 4) Your Residential Proof like electricity bill, etc. 1) Convenient, Time Saving and Hassle-Free Process – An easy loan needs no paperwork and documentation. The whole process of submitting documents in online and saves a lot of time. Some of the personal loans are made available instantly/ within 48 hours. 2) Credit Check and Collateral Not Required – For quick and easy loans, credit score is generally not required. Also, they are generally unsecured loans due to which collateral is not needed. Although rate of interest can be lower for secured loans. 3) Online Process – Easy loans can be obtained online with just a few clicks on your mobile phone with absolutely no paperwork involved and minimal requirements. In this furiously fast era of internet, everything is being made simpler and more convenient for consumers. The ability of getting easy loans online sitting in the comforts of one’s home (especially if you are a young salaried individual), is another example of the simplification of life through internet. All you need to do is to stay aware of easy options available around us for solving financial issues.